A collection of very rare photos of Balaji from the famous Lord Sri Venkateswara temple at Tirupati. South Indian temple. The Lord of Tirumala is the all-pervading Lord of the Universe.A large number of devotees–daily 30,000 on an average–visit the sacred temple of Lord Venkateswara to pay their homage to Him. 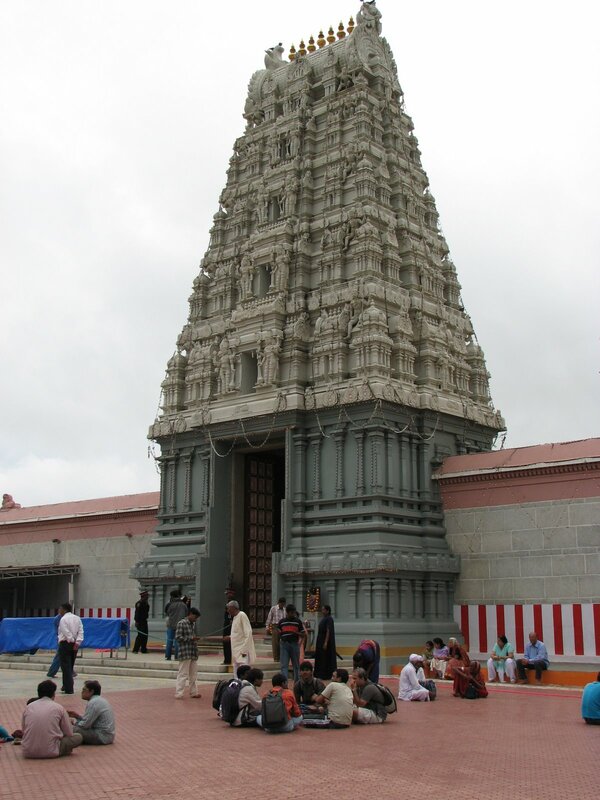 Waiting eagerly to visit Balaji temple at Tirupati.Hope God will make my trip possible. BLESSED TO HAVE A DARSHAN OF LORD VENKATESHARA. St Augustine of Hippo needed to talk to devotees. The Greeks and the Romans worshipped the Sun God, Surya Narayanna, Zeus/ Jupiter Brhaspati and the zodiac demi Gods. But without a correct understanding. Is one allowed to worship these demi Gods in the Kali Yuga. One must understand the difference between Jiva Tatva and Vishnu Tatva. Lourdes, Fatima, the Virgin Mary. They are worshipping the Shakti Tatva, female energy within God. Without a correct understanding?? In Kali-yuga the only practical process for spiritual advancement is chanting Hare Krishna and reading Srila Prabhupada’s books. You will see all these other religious groups are confused, corrupted and impotent at the present time. It is only the chanting of the Hare Krishna mantra and Srila Prabhupada’s books that hold hope for the future. So we need to concentrate on chanting Hare Krishna and reading Srila Prabhupada’s books and not become diverted by these other systems. 1. 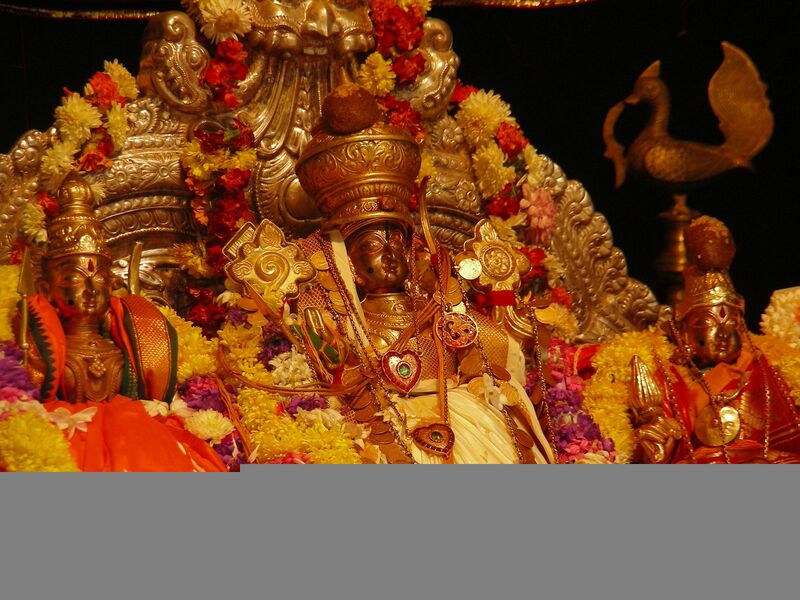 The first picture of the Utsava murties (with a beautiful title golden helmet) is NOT that of Balaji, though, the deities are from inside the sanctum sanctorum of the Tirupati Balaji temple. This is Lord Rama along with His eternal consort Sita Devi and brother Lakshmana. 2. The second picture is NOT the Mahadwara (or main entrance) of the Tirupati Balaji temple. It is the Mahadwara of the Narayanapur Balaji temple (on the outskirts of Pune). 3. The third picture is NOT the original Balaji deity! 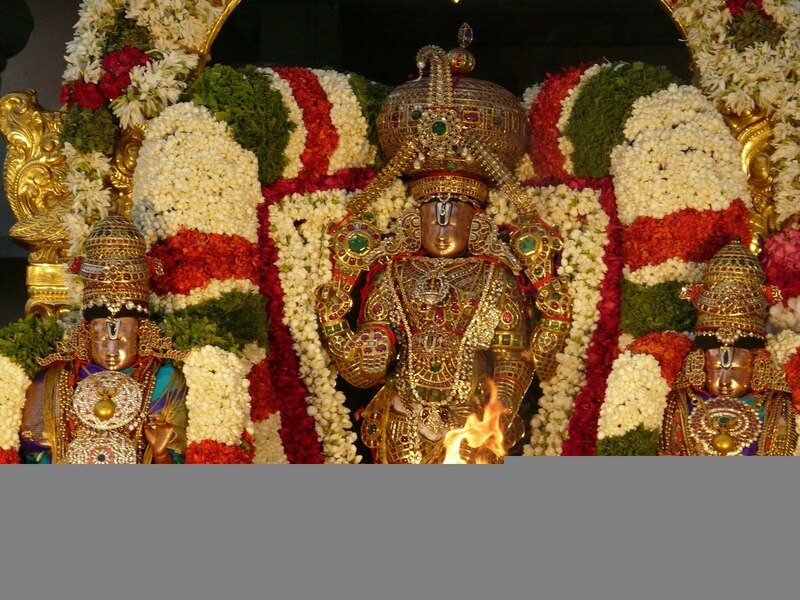 It is in fact the Balaji deity named Srinivasa Govinda installed and worshipped by ISKCON Bangalore! I have had the good fortune of putting my head to His lotus feet many a times when I was part of ISKCON Bangalore. He is only half the height of the Tirupati Balaji. 4. The fifth picture is explained under point 1. 5. The eighth picture is that of the Utsava vigraha of Bhadrachalam temple on the banks of Godavari in Andhra Pradesh, India. They are Sri Rama along with His consort Sita Devi and brother Lakshmana. 6. The ninth picture, much touted as the bejewelled form of the original Balaji deity in His sanctum sanctorum but it is NOT! The TTD (Tirumala Tirupati Devasthanams) has created a “model temple” and it is a picture of that deity. It is here that the TTD’s official broadcasting network films many sevas offered to Balaji and broadcasts them for the pleasure of the devotees. The picture has been given an ancient look by a process called “sepia toning”. Hope these puts everything in the right perspective. OM Namo Venkateshwara Swamaya Namaha….Govinda Hari Govinda venkata Ramana Govinda… Govinda Hari Govinda Gokula Nandana Govinda…. The Balaji image isn’t original (https://krishna.org/wp-content/uploads/2013/01/tirupathi-balaji.jpg), it’s not from Thirupati but from a Chennai temple. Kindly correct this incorrect information. Thanks. Very Very Nice Photoes,Thanks a lot,last month I gone to Tirumala Temple by walking 13 kms.for 5 hours.The pathway is very clean. My Pranam to Guruji and thanks a lot for posting wonderful rare photos. I was fortunate to be present at Tirumala on 28th and 29th December 2017 during celebration of Baikuntha Ekadashi when I have had opportunity to see the beautiful procession. I believe there are some photos of the procession. Lord Sree Venkateswara is my dearest God and Tirumala is my most favourite place which is very peaceful. I want to visit this place every year for Darshan of Lord Balaji. May God bless us. Om Namo Venkatesaya, Govinda ! Govinda ! when i went to tirupati balaji i felt so relaxed and near to god. Venkat is my favourite god. Every year want to see him. Whenever I saw him I will get peace full mind and I will forget my self. please send me the wonderful photos of kaliyuga brahmanda naikudu . Om Namo Venkatesaya …. everybody loves balaji . He is the ruler of the world. Om namo narayanaya…thanks for the best photo in the world .Om namo narayanaya.sree venkadeshwara pranam. 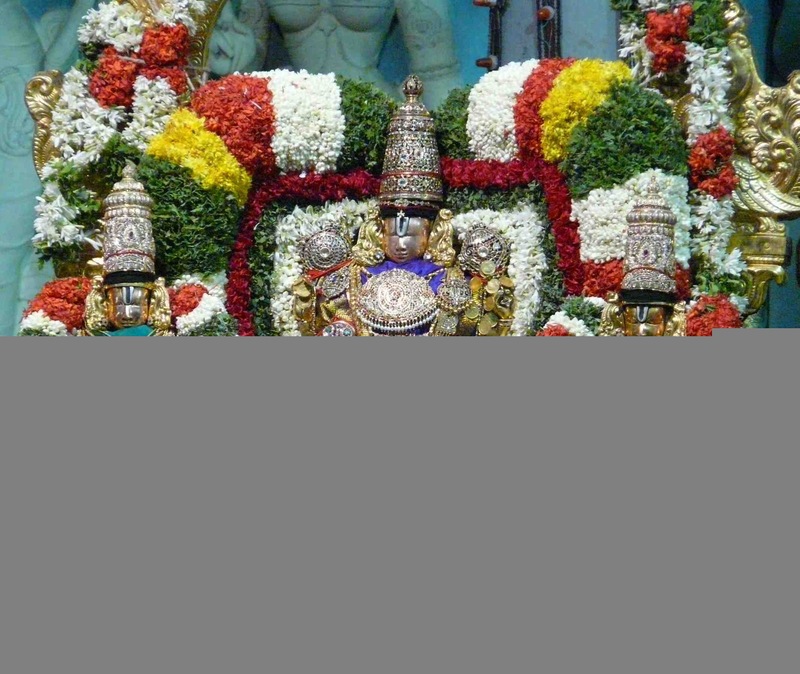 Its a lovely image of my Lord Tirupathi. HE is my Lord and my life. May Lord Balaji bless you….all your dreams come through…. Lively pictures. I am visiting Tirupathi on yearly basis, everytime I see HIM, it is always in a different posture. My Pranam to Guruji and thanks a lot for posting wonderful images of our beloved Lord Sri Venkateswara. Everybody will be feeling very very happy to see all these nice photos. very very execellant photos.om namo venkatesaya namaha. On Namo Narayana Superbbb images.May God Bless Us. OM NAMO SREE VENKATESAYA,GOVINDAA GOVINDAA.. Excellent Superb photos of Lord Venkataswara to be seen by everyone. I am indeed lucky I haven’t missed them. Very good photos of Lord Krishna. 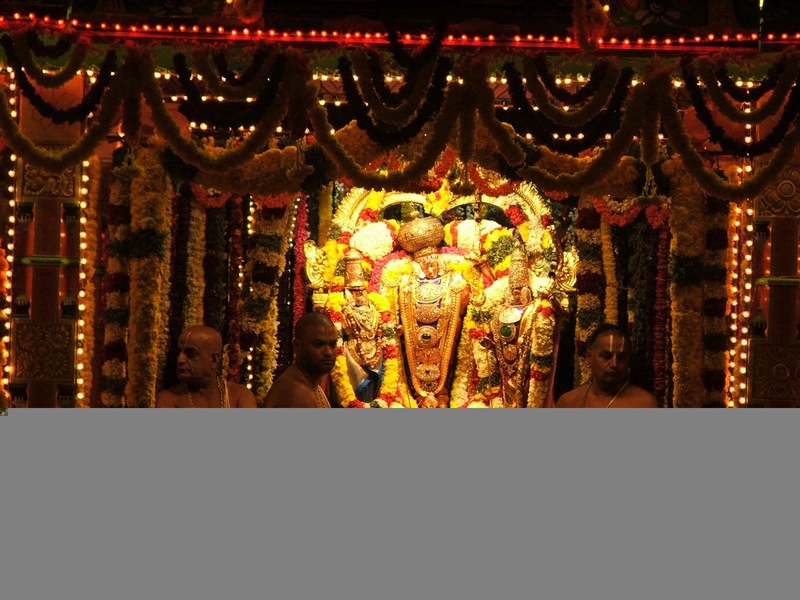 Lords Srinivasa has on several occasions established a special relationship to his devotees. This I have seen with my revered father when he was alive. On oneooccasion when he was doing his daily Thiruaradhanam ( daily prayers) he felt like going to Thirupathy. Unfortunately he knew he will not be permitted since he was recovering from an eye surgery which had gone wrong and he lost sight in one eye. None of us were also there except my mother. HE was very disturbed and he was subconsciously crying to Lord why was it happening to him. He had not even finished his fervent appeal when his cousin walked in and was waiting for my father to finish his prayers. Since he was living in Perungalathur about 50 km. from Chennai my father politely asked him what brought him to Chennai. He was surprised and told my father that my father had called him very early in the morning and told him to come in his car because he wanted to go to Thirupathy and nobody was available to drive him. My father had also told him that he should bring his wife to give my mother company and she also will not permit to go alone. It was decided that they will start immediately after morning prayers. He said he got the call around 4.30in the morning. According to my mother at 4.30 that day my father was still sleeping and told my mother that he got up late because Lord Srinivasa had appeared in his dream and told him that it is a long time since my father had visited and wanted him to come immediately. The greatest thing was his cousin’s name is SRINIVASA. Ohm Sri Srinivasa ya Namha. Can anyone tell me what are the important dieties in tirupati? Which one should not be missed in tirupati? Om namo narayana.he is the one and only god. Lord is always kind to his devotees I am praying for my mother-in-law today she is in the hospital. pls bless her for fast recovery in a day or two. I always have faith on lord all times he will do the needful to his devotees all the time. We are all in temporary material bodies. We stay in them for a few days and then have to leave. So the best thing is to make sure your mother-in-law is chanting Hare Krishna and preparing herself to go back home back to Godhead. If she leaves her body chanting Hare Krishna and remembering Krishna she will not have to come back to this horrible material world again. She will go back home back to Godhead to dance with Krishna. So that will be very nice for her instead of suffering in an old body in this hellish material world. Lord Balaji Sri Venkateswara Swami Vaari jee. one of the Most powerfull god on earth. Hari govinda. .Sri hari govinda. My lord venkateswara is miracle of lifes. I was reading on line The Science of Self Realization. I want to complete the reading but now I cant access it on the computer. Can you help me locate the book on the computer? TIRUPATI BALA JEE KI JAY………. Thank you for these rare photos of Lord Venkateswara. The Lord saved my life and lives of my wife and two sons from a terrible road accident during Nov. 2014. Though our car and glasses were broken, nothing happened to any of us not even a scratch on our bodies. That is the greatness of God. In evry time in tiripati temple …….. I am confuse pls kindly clear me….when I chant 16 rounds specially in the morning I feel some kind of sweet juice like candy not big so much sweety juicy candy but very very little little …is it true or iam imaging prabhu ji. iam not very advance in devotional activities but I want to know it happens or not if I mistake something pls forgive me. You are not imagining Prabhu. There is an extremely sweet taste in chanting the Hare Krishna mantra. We can not taste it very much now because we are so materially contaminated. But as you say you are feeling it a little bit sometimes. Also sometimes we can not feel this taste. That is our misfortune. But we have to know Prabhu that the Hare Krishna mantra is an ocean of ever increasing transcendental bliss. We sometimes get a little hint of this and other times chanting the Hare Krishna mantra seems like a difficult task to us. But we have to know it for sure that our inability to taste the sweetness of the Hare Krishna maha mantra is a symptom of our diseased condition. Srila Prabhupada often gives the example of a man suffering from the disease of jaundice. This is a common disease in India that destroys a person’s ability to taste sweet things. So when a man who is suffering from jaundice tastes some sugar candy, for example, it tastes bitter to him, he does not like to eat it. But it is not that the sugar candy is not sweet. No the sugar is sweet. But the diseased man can not taste it as sweet. So it is his disease that is causing the sugar to taste bitter. And the thing is the cure for jaundice is to take sweet things. So the jaundice diseased man has to take these sweet things, even though they taste bitter to him, and gradually his disease will be cured and he will again be able to experience the sweet taste of these things. So it is exactly like that with us and chanting Hare Krishna. We have a very severe case of the material disease and in that diseased condition we are thinking that material sense gratification is very sweet and chanting Hare Krishna is very bitter, boring, a waste of time, etc. That is the material disease. But the cure for the material disease is chanting Hare Krishna and because of the material disease we have no taste for chanting Hare Krishna. This is why it is essential that we chant at least 16 rounds of the Hare Krishna mantra every day. Because this chanting of Hare Krishna is the medicine that will cure the material disease. But, because of the material disease, we do not like the taste of the medicine, the Hare Krishna maha mantra. The Hare Krishna mantra is unlimited sweet but because of our disease we can not experience the sweetness. So we need to continue chanting Hare Krishna even if we can’t taste the sweetness. And this chanting is the medicine that will cure our material disease. And as the material disease becomes cured more and more, our taste for Chanting Hare Krishna will increase. So keep chanting Hare Krishna and gradually you will experience more and more of this sweet taste. And as the taste of chanting Hare Krishna increases for you automatically your attraction to material sense gratification will decrease. Very Happy after getting the Darshana of Lord Shri. Venkatesha through the Rare Photo. I read with interest this newsletter and noted that Krishna remembers everything of His teachings of Bhagavadgita to Vivasana but Arjuna, as a human being in his present life, does not remember about this fact although Arjuna was a contemporarily parallel to Lord Krishna in his previous birth due to change of body. Lord Krishna remembers because he does not change His eternal body. Further, spiritually Lord Krishna gathers His devotees in His vision at all times, and takes care of them in their various problems from time to time although devotees cannot physically see Lord Krishna except in their Prayers and devotional Bhajan concentrations in their minds. Truly, God wallpapers are too much beautiful then actress & actors. Sri Krishna is the only God to univers. His geetha saying to us how to live, and how to live with others. Yedu kondalavada venkataramana Govinda Govindaa. I have faith in Balaji, I am visiting TTD since last two years. Planning to visit this year also. All my wish are coming to reality…Jay Balaji…Govinda…Govinda. I personally wisit Balaji with my family. Now I am waiting for my next turn. Can I get these quality prints photos of Ashtlaxmi -Balaji? Pl.tell .I want in 4’×4′ feet size. Never Sean before such clear quality. May Lord Venkateswara Swamy, Iam visiting since my childhood days almost once in a year from the age of 14 years. I had a dream in the year 2010 , Lord Vishnu appeared in the form of seshapanpu which was situated near the layout south wall same near to present Laddu ques . under the one meter near to wall and same parallel to SANIDANAM. It was really amazing which is appeared on my dream. We need some time to see,pray lord venkateswara. We are very excited about it. i have a vow with my wife to lord balaji. we wana shave our head for lord balaji. Our family feel very great after we visit Tirumala, we feel that we got piece and happiness there. Guruji I Want to make 5ft* 6ft Balaji photo so pls send original photo of lord BALAJI. I am trusted & wait for ur reply. I do not have any higher resolution of these photos than what is here on the website unfortunately. There is a Photoshop plugin called “Perfect Resize” which takes low resolution images and produces high resolution images from them. It is very good but going from this size image to a 5′ 6″ image may be a bit too much. But you could try it and see. They have a free trial so you can try it and see how it works and let me know how you get on with it. We have to read the books. We have to chant Hare Krishna, that is the way. If we read the books we can understand the real nature of this material world is suffering. There is only suffering here in the material world. We can not expect anything but suffering if we remain in the materialistic concept of life. Happiness is only available in Krishna consciousness. So if we want to stop our suffering then we have to read Srila Prabhupada’s books and live our lives according to the instructions of Krishna and Srila Prabhupada. thnx for seeing nd downloading this images. this is the powerful medicine for stresing,good behaviour,good thoughts nd all etc in ur life. hare rama hare rama, hare krishna hare krishna. lord venkateshwara done many good happenings to me in my life he is always with me………. iam very greatfull to my appa. All ways behave like a real human being, I love lard balaji. Thank you very for the photos in the net. i really thank full to god, for giving a life to us. I can’t find the ‘Brahma Samhita’ neither for free pdf download nor for reading online. Please tell me where can I find it? Tirupati Bala ji ki jay ho. What do u mean Good God ? Are there also bad gods. There is only one God and that is Lord Sri Krishna and he is all the time Good. thanks for such a beautiful pictures i m finding myself near heaven. Happy to see Lord Venkateshwara Swamy’s original photo from the world famous Tirumala Tirupathi temple(gudi)! I came to know that no photographers are allowed to take a snap of that God. Then how you got this guruji! There are lot of idiosyncrasies attached to Hinduism and India in general. If photos are not allowed we should respect that instruction. I recently recd thro whatsapp a full video of the Arati performed to Lord venkatesho in Tirupati although the vide is out of the world and I experienced a divine blessing, it was taken in an hidden pen camera. Srinivasa who is another expansion of the Supreme personality and it is said The Lord before appearing in that form decided to be in his most beautiful form. That is why we can never have enough if Thiru venkatava ! Hare Krishna . well..hare krsna to all devotees of the supreme personality of godhead..actually..am very proud to have recognised krsna..and proud as well to be a vaishnav..plz if you could send me some more info abt our lord..i would be very grateful..actually,am in search of new mantras for the lord..can u help out plz.. If you are not subscribed to the Krishna Connect mailing list then please subscribe at http://www.Krishna.org and I will send you emails. I do agree with Uday. Myself visit the Tirupati temple every year from overseas. a Lord Tirupati even for a minute. I think , we should have an arrangement in the temple so any one like me , can stay in the temple , for limited period of time in a same way as Sanyasi observing the same ritual as sanyasi for ;imited period of time and have the nectar of mentle piece and blessing of Krishna. It is a pipe dream. Forget it. It is all commercial. The rascals who manage the temples including ISKCON serve Kamsa and not Krishna. With Shrila Prabhupad Krishna also left as it is not krishna conscious any more but Kamsa conscious. Ghosts and Spirits Are Real!